It’s almost here! Extra Life 2014 game day is tomorrow (Oct 25), and I’m almost ready! There are always a bunch of last-minute things to do – try to build a list of games to play (and some semblance of a schedule), install them, make sure I have some non-potato chip snacks around, get plenty of rest – and this year is no different. First things first, though. I’ve had a great response this year, and together we’ve already smashed my fundraising goal! This is super awesome, and I wanted to thank every one of you that has contributed so far. I also wanted to reach out one final time to anyone that is on the fence. Please do consider donating – even $1 or $5 can make a difference. So what am I playing? I’m honestly not entirely sure yet! This year is a little tricky because I’m not playing any MMOs, which are always a good way to sink 4+ hours into a single thing. What I do know is that I am going to be playing at least one horror-ish game, because apparently the fact that I don’t really like them is a thing now. These are the things I do for the entertainment of my gracious donors! Alien: Isolation – This sounds pretty awesome in terms of atmosphere and scary factor. A bunch of people agreed that this is something I should play on camera, and therefore I will. I’ve heard varying reports on how deep in you have to get before it’s interesting and/or extra scary, but I’ll push through it for the kids. Dragon Age 2 – So I made it through Act 2 on my initial playthrough before WoW and other things took me away from it. And Telaan swears that the entire point of the game is to watch how little things change within the same world over time. So I’ve started over. I’m a few hours in, and playing a mage this time, so Extra Life seemed like as good a time as any to try to hook myself back on it. Plus, Dragon Age: Inquisition is coming out soon, and I want to be able to play it, but I really need to have finished this one first! Gunpoint – This is an indie game made by Tom Francis who I discovered through The Crate & Crowbar podcast. I really like the podcast, and I finally picked it up as part of a Humble Bundle. I played the first 15 minutes or so, realized I liked it, and decided to save it for Extra Life. Indie games for everyone! Telltale something-or-other – I’m not sure if it will be The Walking Dead or The Wolf Among Us, but I love playing these things during Extra Life. They take up an hour or two per episode, and are just super fun. Plus, people can get to see the agonizing choices I make. Batman: Arkham Origins – Good mindless beat ’em up that I’m ~10 hours into. Figure I might as well finish it up, and this is as good a time as any! Plus, I’m watching the new Arkham show and random Batman things are always fun. Euro Truck Simulator 2 – Yeah, I bought this one at some point. I will try not to pass out from sleepiness while driving across Europe. Much like a real trucker! I’m sure there will also be various other multiplayer games, probably a Magic draft, and whatever else I need to keep me going. I usually pick some sort of upbeat platformer because apparently zoned out at 4am is a time when my reflexes get a lot better. Who knew? Anyway, come stop by the Twitch stream and say hi! Pick a game off my Steam list that you want me to play! And wish Liore and me luck! Extra Life 2014 is nearly here! On October 25, I will be participating in a 24-hour gaming marathon, benefiting Children’s Hospital Oakland. For the third year in a row, I will be joining Liore on the Totally Legit Publishing team to celebrate the positive spirit of gaming to raise money for an excellent cause. There are so many sick kids, and the Children’s Miracle Network hospitals do a ton of good work throughout the year. I look forward to being able to participate in this event all year. Over the past two years, Liore and I have raised over $2000, and the fundraiser as a whole has collected over $6 million in donations! That’s incredible! But it’s never enough to treat every kid that needs it, and this year we are looking to do even more. I’ve worked with the local Bay Area branch of Extra Life to expand participation, and we are looking to smash last year’s participation numbers. I think we’ll do it! But I need your help. Please, if you are able, consider donating even $5 at my page. Every bit will help, it’s all tax deductible, and it the funds go directly to the hospital to help provide services for patients. If you feel like participating on the day of the event, I’ll be streaming my progress through Twitch.tv. I’m taking suggestions on what to play, and I even have a number of game codes to give away throughout the day! Pop in to say hello or join in a game – or send in something that you’d like me to play. If you donate, I might even listen. Thanks so much! Interested in learning more about the games we cover on the show? 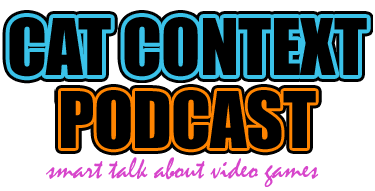 Follow the new Cat Context Podcast curated list on Steam! Episode 60 of the Cat Context Podcast is now available! This week, Liore, Arolaide, and I talked about the Kickstarter-funded RPG Divinity: Original Sin, the launch of new MMO ArcheQueueAge, and the addictive mobile game Dragon Coins. Aro has been playing Divinity: Original Sin in co-op mode, and she talks about how much her household has been enjoying the throwback nature of the game. We also learn (again?) that neither Liore nor Elly has ever played Baldur’s Gate, and this sends Aro into a sweary rage. Is it okay for us to skip out on an intimidating classic game because of its depth? Or are we just cowardly monsters? Liore has spent a lot of time in queues for ArcheAge, and even a little bit of time actually playing. She talks about her early Alpha-colored impressions, and shares concerns about the future of land ownership and its impact on non-headstart players. We all hope that it shakes out and can support both casual goose-pluckers as well as more competitive trade pirates, and think it has a chance to be successful if both groups are happy! And then… Aro discovers the joys of Dragon Coins, the crazy little Pokemon-style mobile game that we blame Liore for getting us to play! Should we or shouldn’t we recommend this? Who cares, because the monsters are SUPER CUTE! Elly also mentions Magic and eyes glaze over. Liore goes to school with pigeons!